1. Planner spread for this week before the pen. 2. Trying to find TIU girls to keep me on track! 3. The Bikini Series is only a week away! 4. Selena Gomez is killing it right now! 5. Etsy Spotlight of the week. 6. Setting fitness goals for the Bikini Series. I’ve also set up a brand new Instagram account. I’m really going to dedicate the next 8 weeks or so to getting fit and healthy with the Bikini Series. 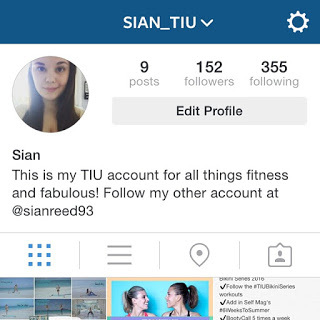 This way, I don’t bombard everyone in my life with all of my fitness and TIU posts! Follow my new account here. Keep a food diary of everything that I eat! Bikini Series prep all week!